japanese anime, sailor moon r, sailormoon, dx bromide, cards, regular, amada. 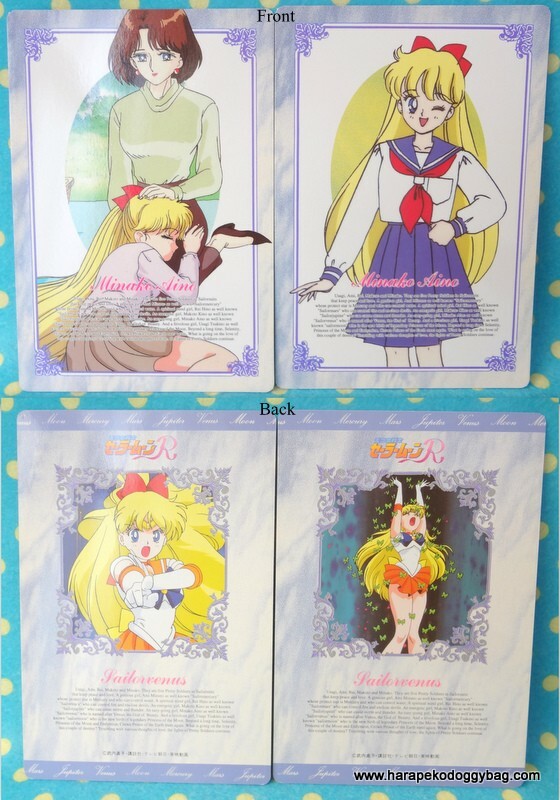 Here is a set of Amada "DX Bromide Cards" for Sailor Moon R : Part 1. There are 5 regular cards in the set. CONDITION : Overall the cards are in excellent to near mint condition. Some cards have slight marks and scratches on the surface. 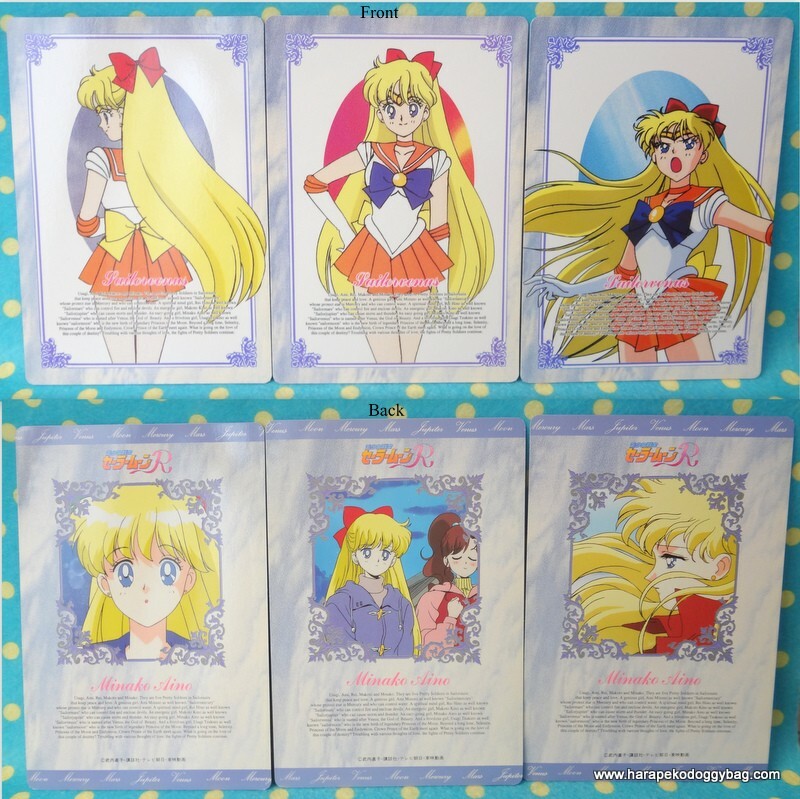 Keywords: japanese anime, sailor moon r, sailormoon, dx bromide, cards, regular, amada.